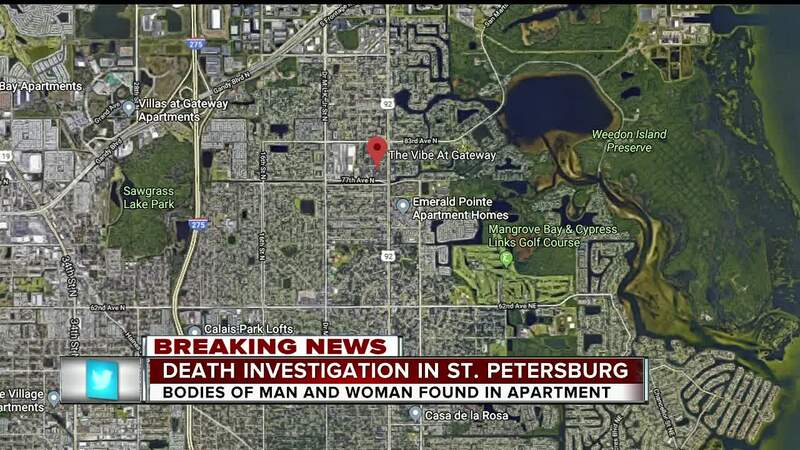 ST. PETERSBURG, Fla. — St. Petersburg Police are conducting a double death investigation after a man and woman were found dead inside their apartment on Thursday. According to police, at 9:30 a.m., a friend asked police to do a welfare check on a man because he had not been in touch for a couple of days. Police responded to The Vibe at Gateway apartment complex, located at 503 77th Avenue North in St. Petersburg. When they arrived, they found the bodies of the man and woman who lived there. Police say there was no sign of forced entry. The deceased have been identified as Justin Page, 37, and Ashley Chiello, 30.